Prolific Golden Guitar winning trio Bennett-Bowtell-Urquhart headline Nu Country TV Saturday April 13 at 9.30 pm on Channel 31/44. Kentucky coal-miner's son Tyler Childers and Mississippi minstrel Randy Houser return to the show after their recent Australian tours. Celtic band McPeake debuts in Behind Bars on the program repeated Monday 7.30 am and Thursday 12 am. Townsville raised troubadour Jade Holland and Mt Gambier born Matt James also appear. Nu Country TV is a highlight of C 31 streaming list on Digital 44. 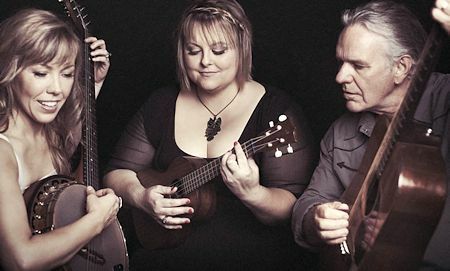 Popular trio Kevin Bennett, Lynne Bowtell and Felicity Urquhart parody flocks of modern Trumped-up politicians in their new video Mountain Of Pain. They excel in their satire of the fear and paranoia peddled by politicians of all nations and parties. You don't have to read far between the lines in the video to recognize Trump, Palmer, Putin, Dutton, Hanson and the monastic Abbott. The trio prove on their second album Weeds why they have won more than 20 Golden Guitars . Felicity, now 42, also releases her seventh solo album Frozen Rabbit on April 29 . CLICK HERE for a Weeds review in The Diary on October 15, 2018. Kentucky coal miner's son Tyler Childers returns live with his trio at the 2017 Americana festival in Nashville. 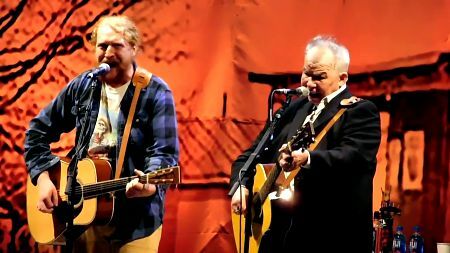 Childers made his Melbourne debut with former Chicago postman John Prine at St Kilda Palais on March 7. Tyler , now 27, won emerging artist of the year at 2018 Americana Awards in Nashville that also honoured Prine, now 72, and Jason Isbell. Bus Route is on his second solo album Purgatory , produced by Sturgill Simpson and David Ferguson. Childers scored exposure on Nu Country with his songs Harlan Road performed by bluegrass state band Newtown, I Swear To God, Feathered Indians and Whitehouse Road . “I tend to write in little stories just because of my background and where I'm from,” revealed Tyler who was born in Lawrence County and lives with his wife about an hour southeast of Lexington in Kentucky . Purgatory on Hickman Holler Records was released on August 4 after 2011 debut Bottles & Bibles. It was recorded at Butcher Shoppe studio with Simpson on guitar-vocals, drummer-vocalist Miles Miller, fiddler Stuart Duncan and multi-instrumentalist Russ Paul. CLICK HERE for a Childers feature in The Diary on March 4. CLICK HERE for our Childers-Prine Palais review in our Concerts page on March 7. Mississippi minstrel Randy Houser takes us on a magical, mystery tour on a trip from his home state to Nashville and beyond in his video No Stone Unturned. Randy also left no turn un-stoned in his lyrics. He sold out the Corner Hotel in Richmond and The Forum in the CBD on his December tour after playing 2018 CMC Rocks Queensland festival in Ipswich . Houser married his Australian wife Tatiana Starzynski on May 4, 2016, after she was introduced to him by songwriter pal Dallas Davidson - her brother-in-law. No Stone Unturned is on his fifth album Magnolia. Randy's parents divorced when he was seven and he spent summers with his dad - a professional singer and musician. He was playing Mississippi clubs at 15 and after his father died he moved to Nashville as a demo singer. 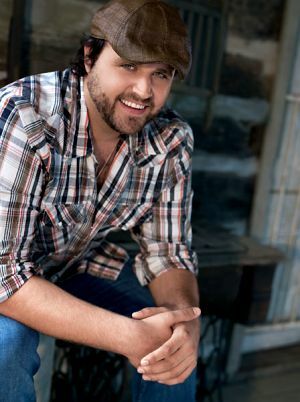 Houser landed a publishing deal at Windswept Music and joined Jamey Johnson and Davidson as co-writers of Honky Tonk Badonkadonk - a big hit for singing actor Trace Adkins. He cut an unreleased album with famed MCA producer James Stroud before his discs Anything Goes 2008, They Call Me Cadillac 2010, How Country Feels 2013 and Fired Up in 2016. 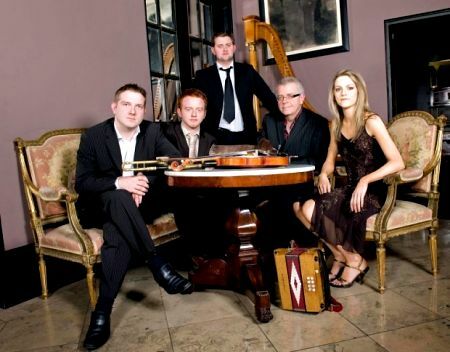 Fourth generation Celtic septet McPeake debuts in Behind Bars with a live version of their song These Days from latest album Gypsies In The Wood. The band began in 1904. Yes, it seems like yesterday, not days of yore. It features Francis McPeake IV on Pipes-whistles & fiddler singer-songwriter spouse Paula. They filmed live at Portaferry - not Port Fairy - at the Sails & Sounds Festival and included movie footage from Cyrano De Bergerac starring Jose Ferrer. The four generations of the McPeake Family are described as rare Irish gems. Their beloved song Wild Mountain Thyme has been performed across the globe - in Irish pubs, concert halls, and music festivals worldwide - since it was first performed in the late 1940s. This haunting folk anthem has been covered by stars diverse as Glen Frey, Rod Stewart, Bob Dylan, The Byrds and Judy Collins. Mareeba born Jade Holland left Townsville long the recent floods and her return to Nu Country TV. She chose Newcastle to pursue her career including overseas performing and song-writing. Jade, 30, won battles of the bedroom, bathroom and kitchen with her beau in her video for It's You on her second album Dream Wild recorded in Nashville with expat co-writer Phil Barton and Brad Winters. Holland 's protagonist was banished to his pick-up truck and bike. She burnt memories of a former beau in Castle Hill, Townsville, in previous video Drive Through that she wrote with Barton, fellow expat Australian Sinead Burgess and Bruce Wallace. “We wrote this song in Nashville after I had come up with a chorus when I was upset and running up Castle Hill in Townsville after a breakup with the guy I had been seeing for over a year,” Jade revealed. CLICK HERE for a Jade CD review in The Diary on October 29, 2018. 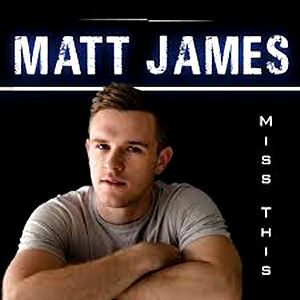 Mt Gambier born 2019 Tamworth Star-maker finalist Matt James debuts on Nu Country with his romantic video Miss This - his debut single. Matt, a Bachelor of Music, wrote Miss This about the early moments of a summer fling. "It's got all the things you need for a great time, the beaches, the beer and of course the girl you want there with you," Matt revealed. He recorded at Red Engine Studio Brisbane with producer Andrew Cochrane. "Working with Andrew in his studio was everything I hoped it would be,” Matt added. “His ear and guidance were crucial to the quality of the work we were able to achieve." Matt grew up in Mount Gambier in a musical family and has played with Lee Kernaghan, Wolfe Brothers , Aleyce Simmonds and Brad Butcher. Matt has also jammed with Redd Volkaert, virtuoso guitarist from the late Merle Haggard's band. We need your support as we celebrate Nu Country TV's 39th series with Australian record companies and artists teaming to ensure our survival. You can win Kip Moore's third album Slowheart , thanks to EMI promotions chief Dave Parker, and Blake Shelton's 12th CD If I'm Honest from Karen Black and Tony Midolo at Warner Music. We also have other CDS by major artists you can win by becoming a Nu Country TV member or renewing membership. They include Brad Paisley, Carrie Underwood, Gary Allan, Dierks Bentley, Eric Church and late larrikin legend A.P. Johnson. CLICK HERE for our Membership Page for full details.